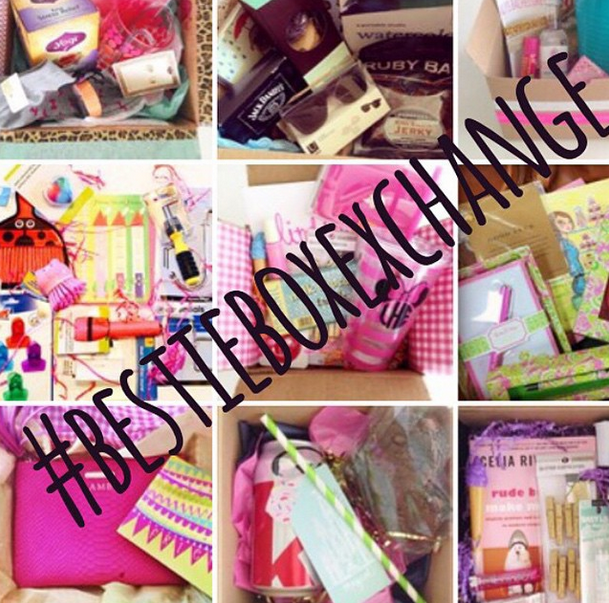 About a month or two ago, I created a fun Instagram gift exchange and it has been so much fun looking through the hashtag (#bestieboxexchange) feed. I have met so many wonderful ladies on Instagram and I thought it was a fun way to get to know one another and who doesn't like coming home to a fun package to open? I received my bestie box this past Thursday! My bestie was @ashtonwearsthings. If you don't follow her, you should ;) She's pretty awesome! Look at this pretty wrapping!? I love the polka dots! I loved what was in the box even more! Ashton did a fabulous job putting this package together for me. I got a Joe Fresh double sided plaid scarf, a beautiful mug from Chapters Indigo. Wish they had a store in the states! And lastly, I got a super cute Essie Polish (Vested Interest)! Showing off all three goodies! My fresh mani, this adorable mug and this very cozy scarf. It was actually cold enough to wear a scarf and this one kept me so warm! These are the jeans I got from hosting the Belk event last month. It's my first pair of gray denim and I love them. Not only are they a size smaller than I usually am but the designers, Chip and Pepper Foster, signed the inside pocket of them! My friend Dawn (also my photographer) spent Friday downtown. We had lunch at the Flying Monk Noodle Bar and then we shot pics around town! Savannah makes taking pictures so easy. I love this city! I'll be hosting another bestie box exchange after the new year. Be sure to follow me on Instagram (@glitterandjuls) so you can sign up!